How were the hexagrams initially arranged ? 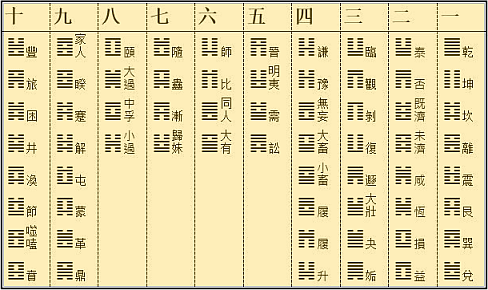 The order of the hexagrams in the Chinese classic Yi jing (I Ching in the Wade-Giles transliteration, and Book of Changes in English translation) is the same in all copies and editions from the Han era (206 BC–220 AD) to the present day, with the only exception of the so-called Mawangdui silk texts. This traditionally received, canonized arrangement is the King Wen sequence (see above). In that, it is hardly possible to find any relation between the content of a given sign and its place in the row. Though one commentary (the Xu Gua) in the Yi jing contains an explanation of the order of the hexagrams, even Richard Wilhelm considered it unconvincing. Since then, quite a few scholars have found or believed they have found other explanations for the origin of the sequence. 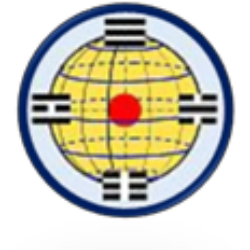 In their opinions, some type of complex system must exist in the succession of the sixty-four hexagrams, which may hide some ancient knowledge related to mathematics, history, biology, or other subjects. Another theory is that the sequence is random, thus making it useless to search for any reasoning underlying the order of the hexagrams. In the last four-five decades, the discussion about the order of the sixty-four hexagrams has come to the fore in academic papers. Namely, are the hexagrams arranged randomly or according to a conscious design? In the next page, you will find my arguments for the latter solution. The question was given on the preceding page: whether the hexagrams in the Yi jing were arranged randomly or according to a conscious design? In my work, I believe, I have found convincing arguments for the latter method. In my previous studies, arranging the hexagrams in spherical and tabular forms, I discovered the traces of some regular groups and tried to find a general rule for the classification. Though I succeeded in reconstructing every group, could not correctly define the basic idea of the system. Recently, I adopted a new approach to disclosing the original concept. The first idea came from the common everyday life: If one wants to put numerous objects in order, whether colored pebbles, coat buttons, or items in a stamp collection, one starts by distributing them into groups according to their specific features (color, size, motif, etc.). I have got another inspiration from the diagrams of old Chinese scholars. There the hexagrams mostly were arranged in columnar form, according to the usual Chinese writing. Thinking logically, we must not exclude the possibility that before the received (King Wen’s) sequence one or more other arrangements also existed. There might have been an initial form, in which the hexagrams only were distributed in definite groups. After the conformation of the groups, perhaps much later, the hexagrams were laid out in the plane, in a columnar arrangement which also demonstrated the grouped structure. Over the centuries, the places of several hexagrams were changed, either due to mistakes or deliberately. In the Yi jing, these corrupted columns were laid out in a sequence. I have based my hypothesis on a number of facts and logical arguments that are discussed here. I hope all these lend credence to the theory, that is, to the idea of the unity of opposites as the philosophical ground of the arrangement of the hexagrams before the Yi Jing. 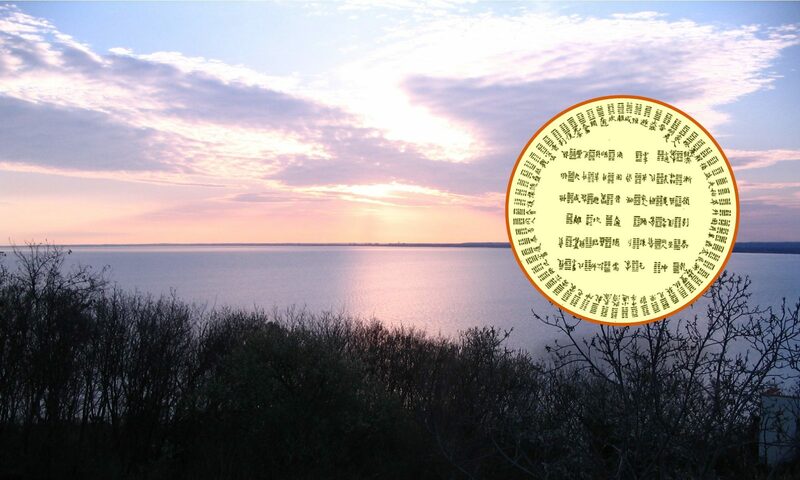 This article focuses on the arrangement of the hexagrams in the traditionally received King Wen sequence. Through observations of the diagrams of Chinese scholars from several centuries ago, a columnar variant of the received sequence can be constructed in which logically connected hexagrams occur in some regions. The structure of this columnar arrangement closely corresponds to a diagram of Jiao Xun (1763–1820), who grouped the hexagrams according to the concept of the unity of opposites. It can be logically deduced that the same idea was the philosophical ground for the arrangement of the hexagrams before the Yi Jing. The readers who do not want to spend time with the introduction, the (infrequent) wordy explanations, and the inevitable references can find a shortened text here. You can send me your opinion and comments on the Posts page where I occasionally also shall write about some of my new ideas. All comments on the theory of the King Wen groups are welcomed here.